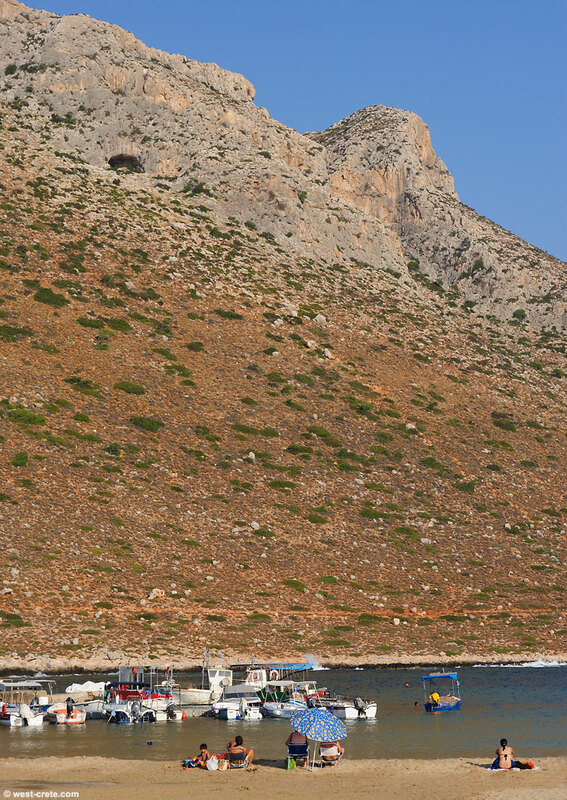 This photo is taken in the bay of Stavros. That's the one in the foreground in this photo. The beach looks quiet but that's only because I chose my angle carefully. In reality, in August, it is packed with people, mainly Greek holiday makers and locals.